1. Always apply sunscreen. Sun protection is crucial to skin health—in fact, it’s one of the most surefire ways to prevent premature signs of aging (like fine lines, wrinkles, and sagging) and discoloration (like age spots and darkening of post-acne marks). Be sure to apply first thing every morning or 20 minutes prior to any outdoor activities; re-apply every hour to ensure your skin stays protected throughout the day, especially if you’re going to be spending time during the sun’s peak hours (11 a.m. to 3 p.m.). 2. Don’t forget to protect your hands and feet. Yes, driving and walking around in open-toed shoes makes you susceptible to sun damage and premature signs of aging. Be sure to exfoliate, moisturize, and protect exposed hands and feet. Our tip? 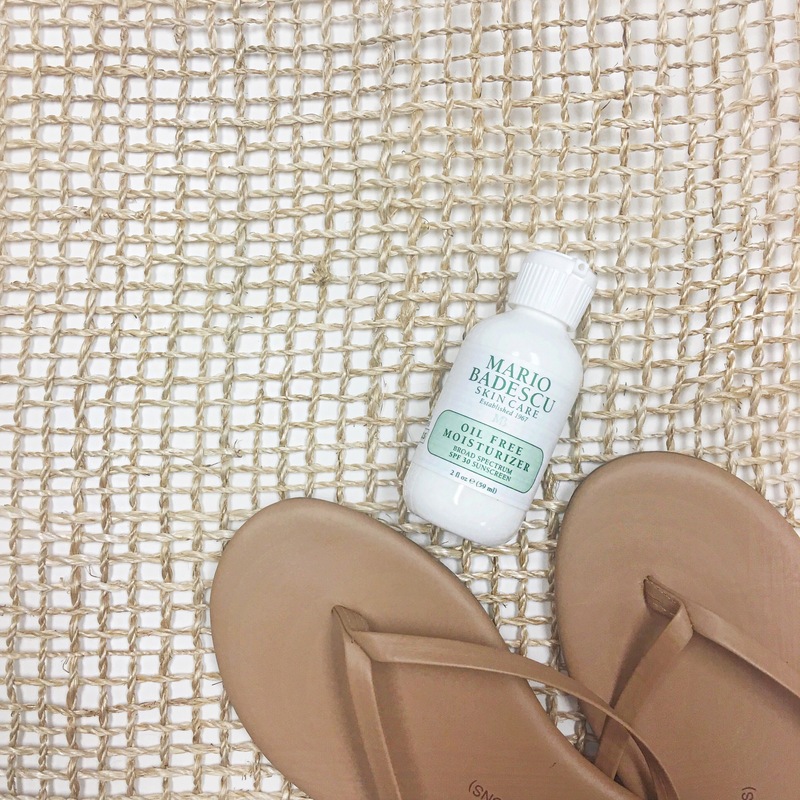 Keep a bottle of Oil Free Moisturizer SPF 30 on hand when you’re out and about. It’ll not only keep your hands and feet hydrated, but will also sink in quickly without feeling greasy—all while protecting your skin. 3. Exfoliate regularly. It’s essential to glowing skin: By removing pore-clogging surface impurities and dulling dead skin cells from the skin, exfoliation helps diminish discoloration and prevent future breakouts. The Glycolic Foaming Cleanser has been a total game-changer for most of us at MB HQ—but if you prefer a granular exfoliant, give our invigorating Botanical Exfoliating Scrub instead. 4. Moisture matters. Summer sun, heat, salt water, chlorine, and air conditioning can wreak havoc on skin. To help keep skin hydrated and healthy-looking, moisturize with SPF before sun, and use a night cream before bed. And for glowing, silky-smooth skin from head to toe, be sure to moisturize your hands and body too. 5. Don’t skimp on eye cream. Sun exposure will gradually thin skin and cause wrinkles, so it’s essential to make eye care a priority. Try using a lightweight formula for day, and a creamier version overnight so you wake up with plumper, younger-looking under-eyes. 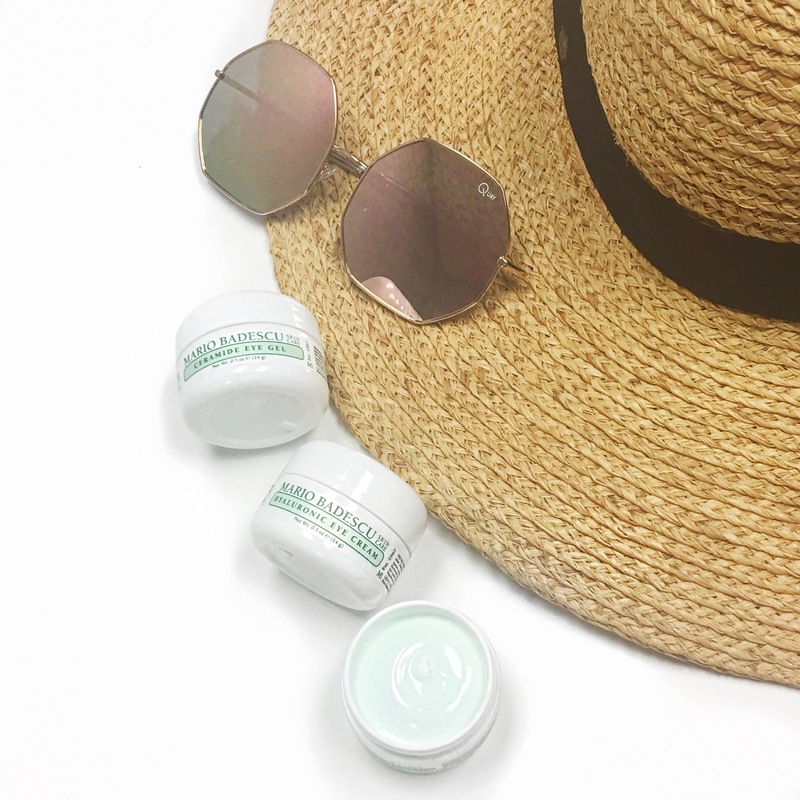 Throw on a baseball cap or large, floppy beach hat to help further shield your face, neck, and chest from dangerous UVA/UVB rays. 6. Look for alpha/beta hydroxy acids in your skincare*. Even if you’re already exfoliating, your skin can always use a boost in further brightening and smoothing the complexion. Ingredients like Grapefruit Extract, Papaya Extract, Lactic Acid, Glycolic Acid, and Salicylic Acid help take your daily regimen to the next level. *Broad spectrum protection is more important than ever if you’re using AHAs and BHAs. Because these ingredients are constantly encouraging the removal of dead skin cells to reveal fresher, newer skin, sunscreen is crucial in keep skin looking even. 7. Vitamin C is key. Specifically, a Vitamin C Serum. 8. Detox. Use a purifying mask 2-3 times a week to deep clean skin, absorb excess T-zone shine, and reveal a refreshed, healthy-looking complexion. 9. Keep hydrated. Drink water throughout the day. If you’re on the go, bring a water bottle and container of fresh fruit to prevent dehydration. 10. Make the healthy switch. As tempting as it is to lie in a tanning bed (guilty!) or sunbathe (guilty again! ), make the switch to self-tanners to achieve that ever-covetable summer skin without yielding yourself to the dangers of overexposure. Beauty Tip: Our faces will always be a shade or two lighter than our body; to build color on your face as well, alternate between a tinted moisturizer and facial self-tanner to achieve an even wash of sun-kissed color. Curious as to what’s in our July skincare edit? Take a peek into our medicine cabinet.